Strong bases are bases which completely dissociate in water into the cation and OH- (hydroxide ion). The hydroxides of the Group I (alkali metals) and Group II (alkaline earth) metals usually are considered to be strong bases. These are classic Arrhenius bases. Here is a list of the most common strong bases. The strong bases are excellent proton (hydrogen ion) acceptors and electron donors. The strong bases can deprotonate weak acids. Aqueous solutions of strong bases are slippery and soapy. However, it's never a good idea to touch a solution to test it because these bases tend to be caustic. Concentrated solutions can produce chemical burns. In addition to the strong Arrhenius bases, there are also superbases. Superbases are Lewis bases that are Group 1 salts of carbanions, such as hydrides and amides. Lewis bases tend to be even stronger than the strong Arrhenius bases because their conjugate acids are so weak. While Arrhenius bases are used as aqueous solutions, the superbases deprotonate water, reacting with it completely. 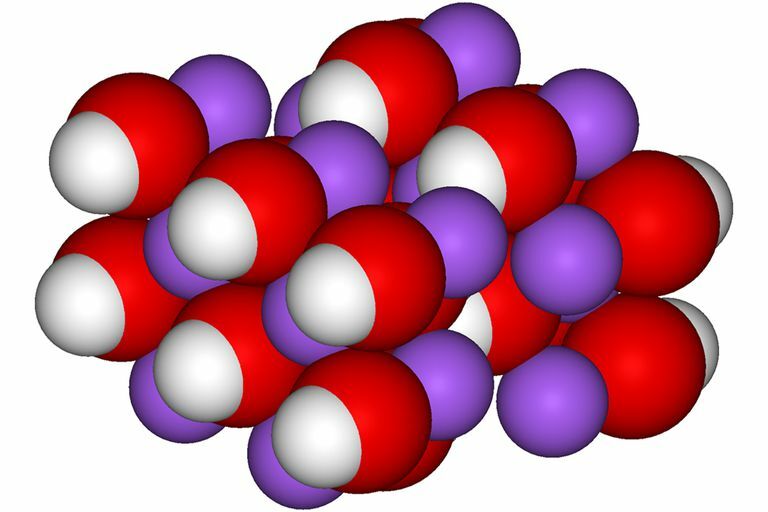 In water, none of the original anion of a superbase remains in solution. The superbases are most often used in organic chemistry as reagents.